A few weeks back, somewhere in the depths of Summer, (though it seems like a never-ending Summer here in So Cal) I was attending a small invite BBQ at a neighbor's house. I had just finished making a Chocolate Cream Pie, and Double Chocolate Brownies, so the invitation provided an opportunity to share the sweets. Now, everyone knows that chocolate is generally the way to a woman's heart (okay, chocolate and a man doing housework), so the hostess was prepared to dig into the treats before we'd even plated dinner. Her fiance, on the other hand, was not so easily impressed, "I don't really care for chocolate desserts, I like Lemon Pie," he said with his Southern drawl. I blinked twice, taking a slow, deep breath; I know I didn't just hear him put down chocolate! I bit my lip and turned back towards my friend, who was already plating a heaping wedge of pie in between muffled brownie chews. That was the day I resolved to make a Lemon Meringue Pie. I'm not gonna lie. Growing up, Momma was more of a boxed bake-stress than a Betty Crocker; but boy, could she whip up a mean box. I have countless memories of me peering over the kitchen counters, fingers crossed this was an 'add water only' mix that would allow me to lick the bowl, spatula, and well anything residual batter would rest on. And I don't blame her one bit. Over the past year I've been working with my niece, Sabrina (10) to teach good cooking and baking skills and it has been a rocky ride. Mastering basic safe-handling skills in the kitchen is hard enough, without having to practice liquid and solid measurements, or how to separate an egg. But we soldier on so long as I remember to always be a supportive and understanding teacher. So, this week I set out to make 2 Lemon Meringue Pies, one with a Blackberry Compote for my personal photos and indulgence, and a second at Sabrina's hand for her soon-to-be Stepfather. Silly me, more concerned with the pie we would be giving away, decided to make my Lemon Meringue first. I'll admit here and now I am not perfect- Not only was I braving my first use of a Spring-form pan since high school home economics, but I *might* have seen a speck of yolk plop into my whites during separation. I can hear the gasps already, I know, I know- but I ended up furiously whipping them like nobody's business, and ended up with a great textured meringue anyway. Granted, it was not as fluffy as the second meringue, I gave away later that night, but it happens. We can't always be Good Housekeeping perfect. I digress; I also hadn't anticipated that the Spring Form pan was a bit larger in diameter than the pre-made graham crust I planned to pour my second pie into. So, while the recipe produced the perfect amount to pile a mounding heap of meringue on the second crust, my flaky pastry shell was a bit trickier in the Spring Form. Why am I telling you this? Well, outside of the fact you can't actually taste the pictures, so you always have to take my word, I get a lot of feedback about the food photography. I want to be fair and honest, that things don't always go the way they planned in my kitchen; so don't get discouraged if they don't go that way for you. Us home chefs have to stick together, after all, right? And, just because I might watch a little too much Gordon Ramsay, I decided to 'elevate' the recipe a smidgen with a simple Blackberry Compote, perfect to roll this traditionally Summer dish into the Fall. 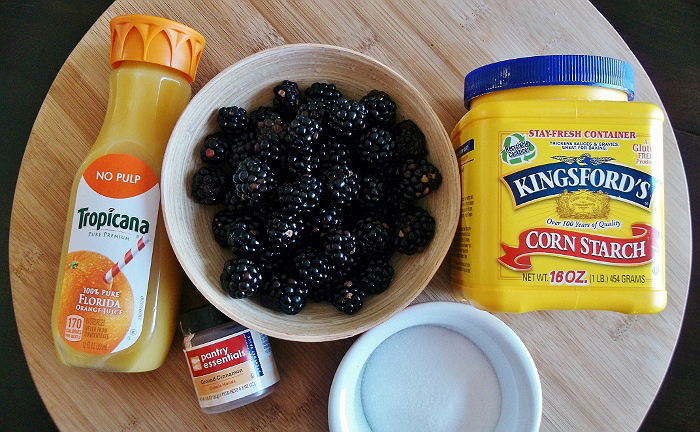 ***Click here for printable Blackberry Compote recipe. 1.) In a small bowl, combine 2 TBS of orange juice with the cornstarch. 2.) 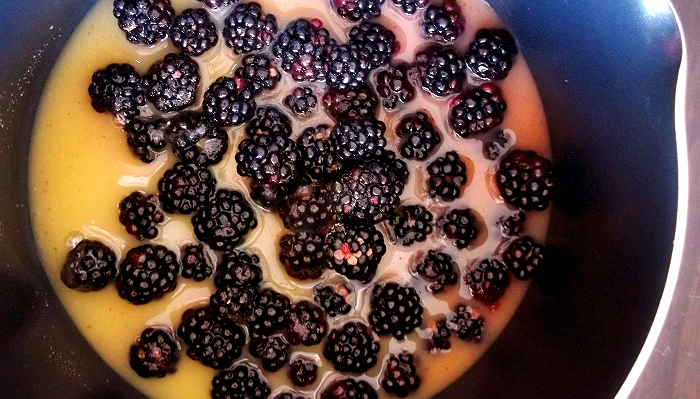 Place the blackberries in a small saucepan with the sugar, remaining orange juice, and cinnamon. Bring to a simmer over low heat and allow to simmer 1 MIN. 3.) Stir the cornstarch mixture and add it to the compote. Simmer, stirring until thickened, approximately 3 MINS. Serve warm, or at room temperature (if topping). So, the moral of today's recipe post is, to always expect the unexpected in the kitchen. If I had a dollar for every time I laid out all my ingredients for a project, only to discover I didn't have enough of 1, or 2, or 3- I'd be using a much nicer, Kitchenmaid, mixer. If you're hoping to try a new recipe to entertain, do a dry run at home the week before; using your own utensils and ingredients. Sometimes people get things wrong when typing up their recipes online; sometimes you only have an 8" x 8" pan, and not a 9" x 9". Doing a test run before the real deal will make you more comfortable with new techniques, and take a lot of pressure out of the real thing. In all, my Blackberry-Lemon Meringue Pie turned out delicious (I can't speak for the fluffier, second one). Jay was raving all afternoon yesterday, and a few of my culinary professional friends complimented me on the texture of my Meringue. There may not be heaping wisps of it atop my pie, but I rather like the ratio of meringue to filling, myself. So, when those little hiccups arise in your kitchen, never give up, and always see a recipe through- you never know what new favorite you'll find! What Daughter Says: Make Lemon Meringue Pie! 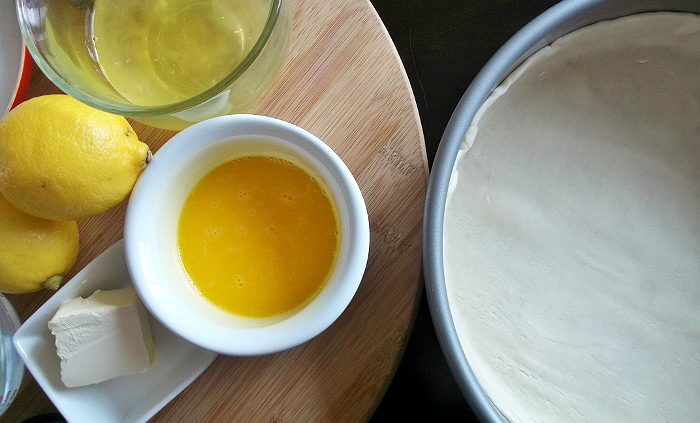 *** Click here for printable Lemon Meringue Pie recipe. 1.) In a medium saucepan, whisk together 1 C sugar, flour, cornstarch, and salt. Stir in water, lemon juice, and lemon zest. Cook over medium-high heat, stirring frequently until mixture comes to a boil. 3.) 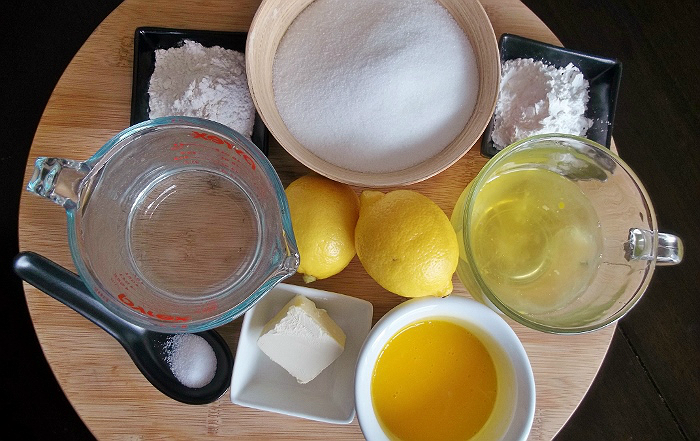 Place egg yolks in a small bowl and gradually whisk in 1/2 C of hot sugar mixture. 4.) 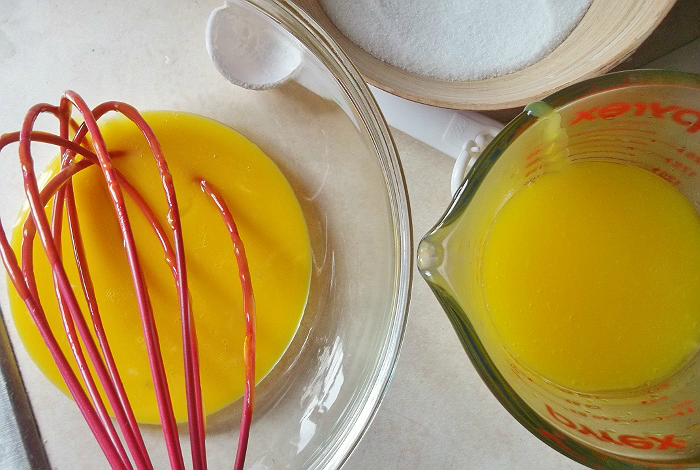 Whisk egg yolk mixture back into sugar mixture. Bring to a boil and continue to cook, while stirring constantly, until thick. Remove from heat and pour into ready crust. 1.) 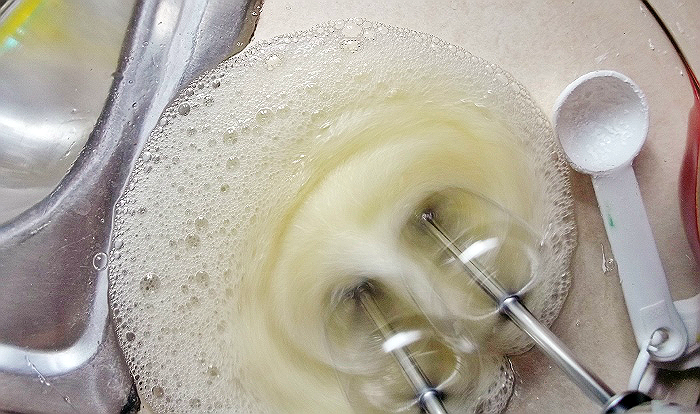 In a large glass or metal bowl, whip egg whites until foamy. 2.) 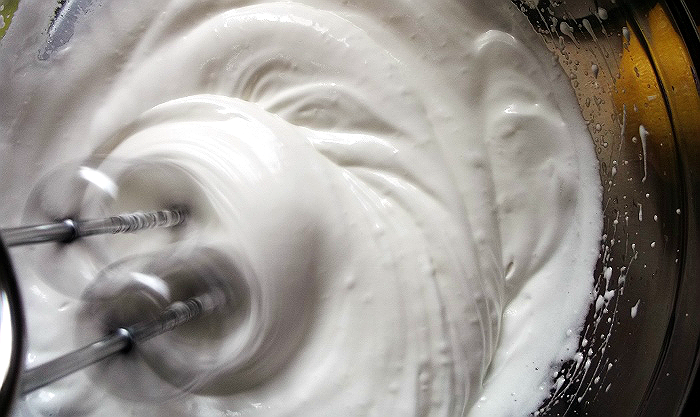 Add sugar gradually, and continue to whip until soft peaks form. 3.) Spread meringue over filled pie, covering to edges of the crust in meringue. 4.) Bake in preheated oven for 10 minutes, until golden brown. Allow to cool at room temperature, then refrigerate. Serve chilled. Top slices with Blackberry Compote prior to serving. Delicious! 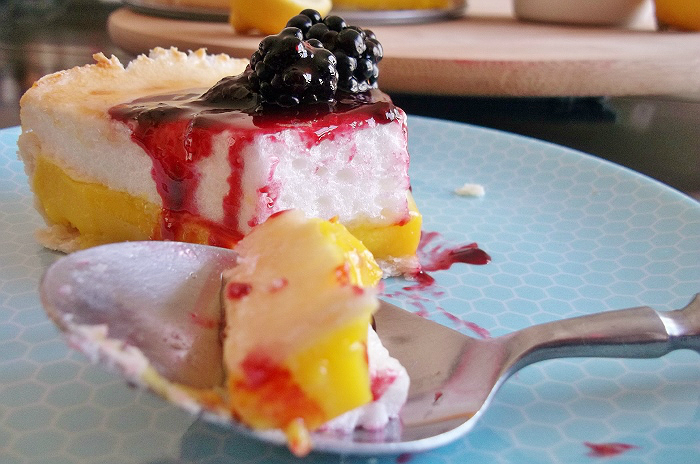 I've never had bb compote on l. meringue or thought to use it on it but that sounds awesome. Beautiful Meringue and didn't see any yolk :). I love chocolate pie (inserted here so your will not become a hater) but I do love lemon meringue pie. It must be a southern thing. Splendid job and thanks for the recipe. I think the b.b compote will be an excellent addition. Please, please, please come and cook for me. I wish we lived closer. Another great recipe with mouth watering photos. I actually purchased more colorful plates today for my future recipe shoots. You have inspired me. Lemon meringue pie is one of my favorite desserts. I'm not a fan of chocolate for the most part. Well frankly I think your pie looks absolutely gorgeous! Delicious too. But gorgeous. And seriously, you can come take pictures for me any time as I cook. lol. Show me how it's done. You can make everything look delicious. You've got my attention now...but now I want you to bring me some pie! It looks amazing. I love lemon meringue pie! And you pictures are beautiful. I have never made lemon meringue pie before because I thought it was kinda intimidating but reading your recipe, I think I can do it too! everything about this looks so amazing i need to try making it although i dont think it will come out half as good as yours! Yum! This Looks Delish! 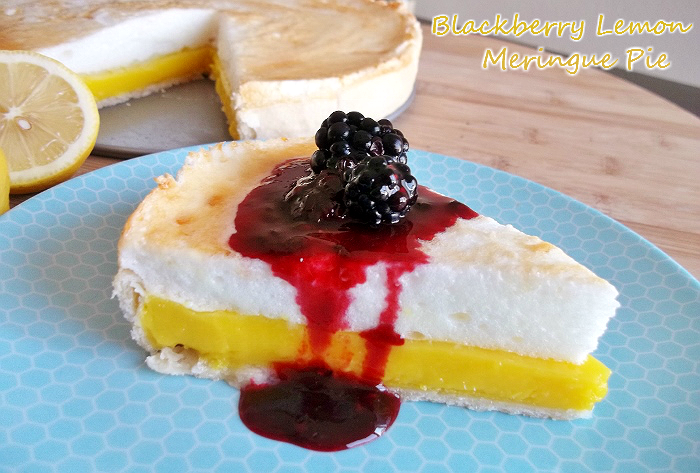 I Love Lemon Meringue Pie Must Try This Blackberry Lemon Version! I've never cared much for meringue, but the rest looks scrumptious. I like lemon meringue pie, but who in the world doesn't love chocolate?? 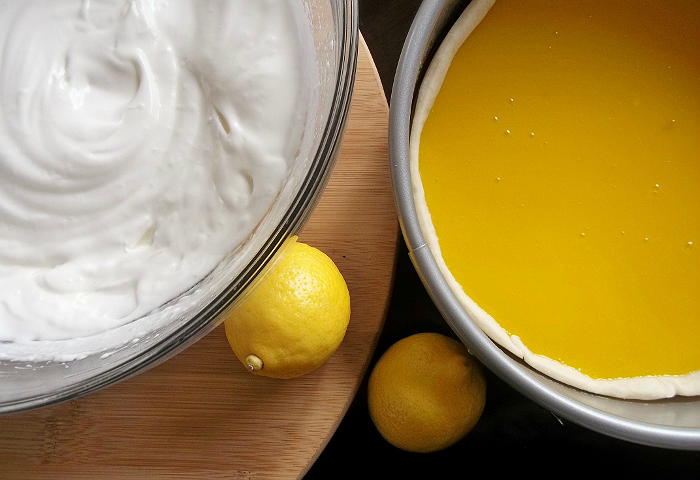 I LOVE lemon pie -- one of my all time faves. And, this recipe looks amazing! That looks perfect! I've only tried Lemon Meringue Pie once and it turned out just okay. Now you have me motivated to make this on Sunday and I'll follow your recipe to the T! Thanks! I'm definitely cursed when it comes to baking so I don't try to do it too often.. But this recipe sounds great, and the pictures are so mouth watering that I HAVE to try it!! Ok well a man cleaning got me right away but lemon pie is a favorite of mine even more so than chocolate. I am going to try this for my family, I know I am weird but I never eat the meringue. Oh, yum! I'm pinning this recipe! 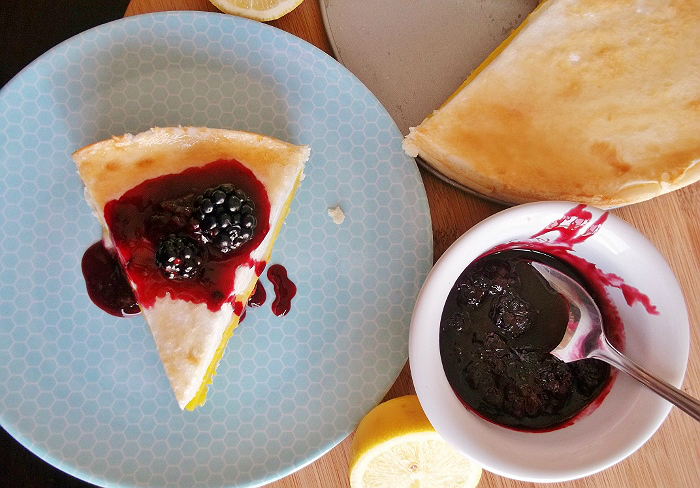 I'm a huge lemon fan and even more so with any type of berry! Looks so good! I love anything lemon! This would be perfect to share with my family over the holidays. It looks tasty but I'll stick with my lemon icebox pie. Meringue is a pain to make. Can't wait to try it! This will make a great addition to my holiday dessert table! Oh my heck. I love lemon pie. I would say that I'm going to make it, but mine would never turn out that nice. That looks delicious! 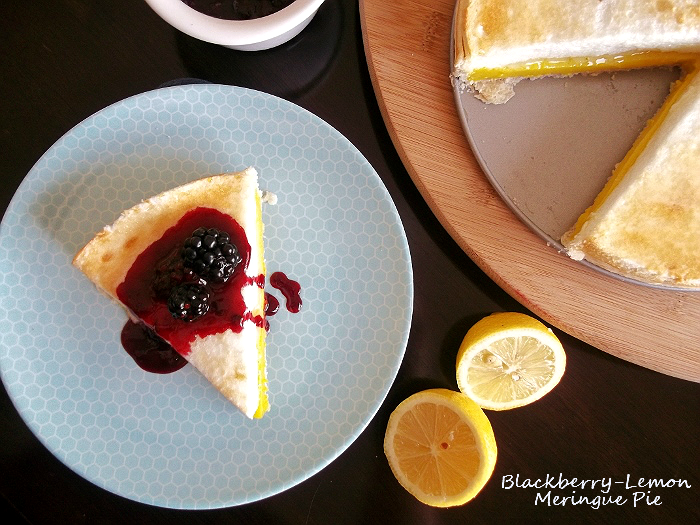 Blackberry and lemon sounds like a wonderful flavor combination. And while Meringue can be a bit tricky, but it's definitely worth it. It looks so good, i have never made one. 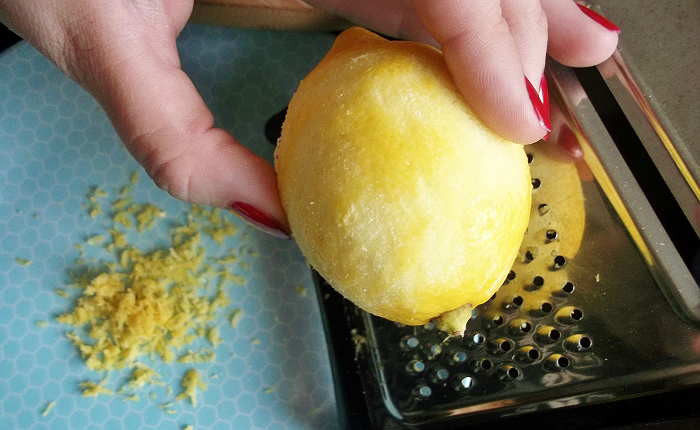 I do love anything lemons and this looks like a lot of work, but I am sure worth it. I would love to try it.